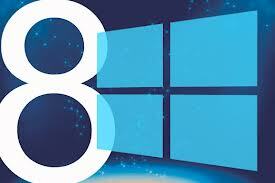 The latest update to the Microsoft operating system known as Windows 8 will be free for users who already have the OS. Not surprisingly, the company has dubbed this update, previously known by the codename “Windows Blue,” Windows 8.1. Not much is yet known about this update, set to be released later this year. The update plans to address confusion and complaints users have had with Microsoft’s latest operating system. These complaints include everything from the lack of a simple start button and home page—currently buried beneath a fancy interface—the touch gestures of trackpads, and the ever-changing live tiles and hidden widgets. There is a strong argument to be made that this new system is a vast improvement over the old one. It is allowing Microsoft to stay competitive in this new age of tablets, touch devices, and more complex smart interfaces like smart houses and appliances (you can now program your refrigerator to sense when it is out of something—say, milk—and order it from the store for delivery for you). However, less tech-savvy users familiar with the older way of doing things have been struggling. International Data Corp., a leading data and statistics firm, has stated there has been a 14 percent decline in worldwide PC sales last year. It speculates that Windows 8 was a major contributing factor. Unfortunately, the company has released very little information on the specifics of what problems 8.1 will address. One way the new update is looking to improve is by making it more compatible for smaller devices, such as 7-8″ tablets, for which the current interface is a bit too bulky and cumbersome. Windows Marketing and Financing Chief Tami Reller assures consumers they can buy Windows 8 now with no worries of missing out on any of the features or functionality 8.1 will have to offer. Yet one question remains: if such hype is being given to the free-ness of Windows 8.1—when historically Microsoft has always had decimal updates be free upgrades—does that mean that pay-for-use upgrades are on the horizon for Windows users?